Originally the Border Terrier was referred to as the Coquetdale Terrier or Redesdale Terrier from the area in which it evolved, but by the late 1800s it was generally known as the Border Terrier, probably because of its long history with the Border Hunt in Northumberland. It shares its ancestry with that of the Bedlington Terrier and the Dandie Dinmont Terrier. 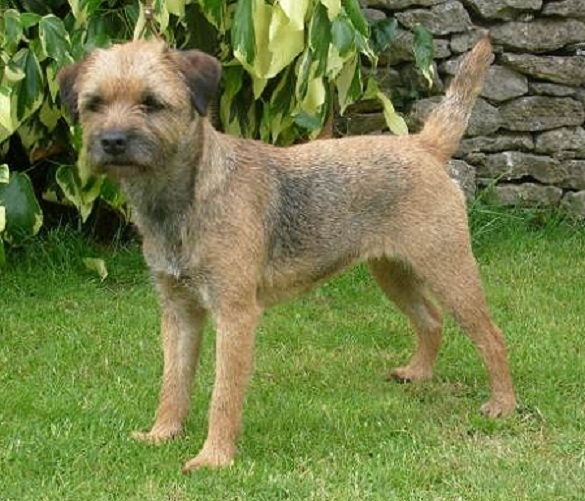 It was recognised as a breed by the Kennel Club in 1920, the same year The Border Terrier Club was formed. Their original purpose was to bolt foxes which had gone to ground. They were also used to kill rodents, but they have been used to hunt otters and badgers too. The first Kennel Club Border Terrier ever registered was The Moss Trooper, a dog sired by Jacob Robson's Chip in 1912 and registered in the Kennel Club's Any Other Variety listing in 1913. The Border Terrier was rejected for formal Kennel Club recognition in 1914, but won its slot in 1920, with the first standard being written by Jacob Robson and John Dodd. Jasper Dodd was made first President of the Club.